Stoicism is a school of Hellenistic philosophy founded by Zeno of Citium in Athens in the early 3rd century BC. While Stoic physics are largely drawn from the teachings of the philosopher Heraclitus, they are heavily influenced by certain teachings of Socrates. Stoicism is predominantly a philosophy of personal ethics informed by its system of logic and its views on the natural world. According to its teachings, as social beings, the path to happiness for humans is found in accepting the moment as it presents itself, by not allowing oneself to be controlled by the desire for pleasure or fear of pain, by using one's mind to understand the world and to do one's part in nature's plan, and by working together and treating others fairly and justly. The Stoics are especially known for teaching that "virtue is the only good" for human beings, and that external things—such as health, wealth, and pleasure—are not good or bad in themselves, but have value as "material for virtue to act upon". Alongside Aristotelian ethics, the Stoic tradition forms one of the major founding approaches to Western virtue ethics. The Stoics also held that certain destructive emotions resulted from errors of judgment, and they believed people should aim to maintain a will (called prohairesis) that is "in accord with nature". Because of this, the Stoics thought the best indication of an individual's philosophy was not what a person said, but how a person behaved. To live a good life, one had to understand the rules of the natural order since they thought everything was rooted in nature. 7.1 The doctrine of "things indifferent"
The Stoics provided a unified account of the world, consisting of formal logic, monistic physics and naturalistic ethics. 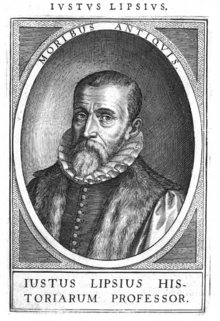 Of these, they emphasized ethics as the main focus of human knowledge, though their logical theories were of more interest for later philosophers. Beginning around 301 BC, Zeno taught philosophy at the Stoa Poikile ("Painted Porch"), from which his philosophy got its name. Unlike the other schools of philosophy, such as the Epicureans, Zeno chose to teach his philosophy in a public space, which was a colonnade overlooking the central gathering place of Athens, the Agora. Zeno's ideas developed from those of the Cynics, whose founding father, Antisthenes, had been a disciple of Socrates. 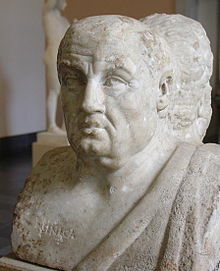 Zeno's most influential follower was Chrysippus, who was responsible for the molding of what is now called Stoicism. Later Roman Stoics focused on promoting a life in harmony within the universe, over which one has no direct control. Early Stoa, from the founding of the school by Zeno to Antipater. Middle Stoa, including Panaetius and Posidonius. Late Stoa, including Musonius Rufus, Seneca, Epictetus, and Marcus Aurelius. The Stoics held that all being (ὄντα) – though not all things (τινά) – is material. They accepted the distinction between Abstract and concrete bodies, but rejected Aristotle's belief that purely incorporeal being exists. Thus, they accepted Anaxagoras' idea (as did Aristotle) that if an object is hot, it is because some part of a universal heat body had entered the object. But, unlike Aristotle, they extended the idea to cover all accidents. Thus if an object is red, it would be because some part of a universal red body had entered the object. They held that there were four categories. The mind has the ability to judge (συγκατάθεσις, synkatathesis)—approve or reject—an impression, enabling it to distinguish a true representation of reality from one that is false. Some impressions can be assented to immediately, but others can only achieve varying degrees of hesitant approval, which can be labeled belief or opinion ( doxa). It is only through reason that we gain clear comprehension and conviction ( katalepsis). Certain and true knowledge ( episteme), achievable by the Stoic sage, can be attained only by verifying the conviction with the expertise of one's peers and the collective judgment of humankind. The universe itself is God and the universal outpouring of its soul; it is this same world's guiding principle, operating in mind and reason, together with the common nature of things and the totality that embraces all existence; then the foreordained might and necessity of the future; then fire and the principle of aether; then those elements whose natural state is one of flux and transition, such as water, earth, and air; then the sun, the moon, the stars; and the universal existence in which all things are contained. Constantly regard the universe as one living being, having one substance and one soul; and observe how all things have reference to one perception, the perception of this one living being; and how all things act with one movement; and how all things are the cooperating causes of all things that exist; observe too the continuous spinning of the thread and the structure of the web. Individual souls are perishable by nature, and can be "transmuted and diffused, assuming a fiery nature by being received into the seminal reason (" logos spermatikos") of the Universe". Since right Reason is the foundation of both humanity and the universe, it follows that the goal of life is to live according to Reason, that is, to live a life according to Nature. Stoic theology is a fatalistic and naturalistic pantheism: God is never fully transcendent but always immanent, and identified with Nature. Abrahamic religions personalize God as a world-creating entity, but Stoicism equates God with the totality of the universe; according to Stoic cosmology, which is very similar to the Hindu conception of existence, there is no absolute start to time, as it is considered infinite and cyclic. Similarly, the space and Universe have neither start nor end, rather they are cyclical. The current Universe is a phase in the present cycle, preceded by an infinite number of Universes, doomed to be destroyed (" ekpyrōsis", conflagration) and re-created again,  and to be followed by another infinite number of Universes. Stoicism considers all existence as cyclic, the cosmos as eternally self-creating and self-destroying (see also Eternal return). The ancient Stoics are often misunderstood because the terms they used pertained to different concepts in the past than they do today. The word "stoic" has come to mean "unemotional" or indifferent to pain because Stoic ethics taught freedom from "passion" by following "reason". The Stoics did not seek to extinguish emotions; rather, they sought to transform them by a resolute " askēsis" that enables a person to develop clear judgment and inner calm. Logic, reflection, and concentration were the methods of such self-discipline. Borrowing from the Cynics, the foundation of Stoic ethics is that good lies in the state of the soul itself; in wisdom and self-control. Stoic ethics stressed the rule: "Follow where reason leads. "[ citation needed] One must therefore strive to be free of the passions, bearing in mind that the ancient meaning of "passion" was "anguish" or "suffering",  that is, "passively" reacting to external events, which is somewhat different from the modern use of the word. A distinction was made between pathos (plural pathe) which is normally translated as passion, propathos or instinctive reaction (e.g., turning pale and trembling when confronted by physical danger) and eupathos, which is the mark of the Stoic sage (sophos). The eupatheia are feelings that result from correct judgment in the same way that passions result from incorrect judgment. The idea was to be free of suffering through apatheia (Greek: ἀπάθεια; literally, "without passion") or peace of mind,  where peace of mind was understood in the ancient sense—being objective or having "clear judgment" and the maintenance of equanimity in the face of life's highs and lows. For the Stoics, reason meant not only using logic, but also understanding the processes of nature—the logos or universal reason, inherent in all things. Living according to reason and virtue, they held, is to live in harmony with the divine order of the universe, in recognition of the common reason and essential value of all people. Following Socrates, the Stoics held that unhappiness and evil are the results of human ignorance of the reason in nature. If someone is unkind, it is because they are unaware of their own universal reason, which leads to the conclusion of unkindness. The solution to evil and unhappiness then is the practice of Stoic philosophy: to examine one's own judgments and behavior and determine where they diverge from the universal reason of nature. The doctrine of "things indifferent"
In philosophical terms, things that are indifferent are outside the application of moral law—that is without tendency to either promote or obstruct moral ends. Actions neither required nor forbidden by the moral law, or that do not affect morality, are called morally indifferent. The doctrine of things indifferent (ἀδιάφορα, adiaphora) arose in the Stoic school as a corollary of its diametric opposition of virtue and vice (καθήκοντα kathekon, "convenient actions", or actions in accordance with nature; and ἁμαρτήματα hamartemata, mistakes). As a result of this dichotomy, a large class of objects were left unassigned and thus regarded as indifferent. Eventually three sub-classes of "things indifferent" developed: things to prefer because they assist life according to nature; things to avoid because they hinder it; and things indifferent in the narrower sense. The principle of adiaphora was also common to the Cynics. Philipp Melanchthon revived the doctrine of things indifferent during the Renaissance. Philosophy for a Stoic is not just a set of beliefs or ethical claims; it is a way of life involving constant practice and training (or " askēsis"). Stoic philosophical and spiritual practices included logic, Socratic dialogue and self-dialogue, contemplation of death, training attention to remain in the present moment (similar to some forms of Buddhist meditation), and daily reflection on everyday problems and possible solutions. Philosophy for a Stoic is an active process of constant practice and self-reminder. Stoics were also known for consolatory orations, which were part of the consolatio literary tradition. Three such consolations by Seneca have survived. They held that external differences such as rank and wealth are of no importance in social relationships. Instead, they advocated the brotherhood of humanity and the natural equality of all human beings. Stoicism became the most influential school of the Greco-Roman world, and produced a number of remarkable writers and personalities, such as Cato the Younger and Epictetus. The Fathers of the Church regarded Stoicism as a "pagan philosophy";   nonetheless, early Christian writers employed some of the central philosophical concepts of Stoicism. Examples include the terms "logos", " virtue", " Spirit", and " conscience". But the parallels go well beyond the sharing and borrowing of terminology. Both Stoicism and Christianity assert an inner freedom in the face of the external world, a belief in human kinship with Nature or God, a sense of the innate depravity—or "persistent evil"—of humankind,  and the futility and temporary nature of worldly possessions and attachments. Both encourage Ascesis with respect to the passions and inferior emotions such as lust, and envy, so that the higher possibilities of one's humanity can be awakened and developed. Stoic writings such as Meditations by Marcus Aurelius have been highly regarded by many Christians throughout the centuries. The Eastern Orthodox Church and Oriental Orthodox Church accept the Stoic ideal of dispassion to this day. Saint Ambrose of Milan was known for applying Stoic philosophy to his theology. ^ Sharpe, Matthew. " Stoic Virtue Ethics." Handbook of Virtue Ethics, 2013, 28–41. ^ John Sellars. Stoicism, 2006, p. 32. ^ Becker, Lawrence C. (2001). A New Stoicism. Princeton: Princeton University Press. ISBN 9781400822447. ^ Williamson, D. (1 April 2015). Kant's Theory of Emotion: Emotional Universalism. Palgrave Macmillan US. p. 17. ISBN 978-1-137-49810-6. ^ Yong, Hua‐Hie. "Can attitudes of stoicism and cautiousness explain observed age‐related variation in levels of self‐rated pain, mood disturbance and functional interference in chronic pain patients?." European Journal of Pain 10.5 (2006): 399–399. ^ Russell, Bertrand. A History of Western Philosophy, p. 253. ^ Amos, H. (1982). These Were the Greeks. Chester Springs: Dufour Editions. ISBN 978-0-8023-1275-4. OCLC 9048254. ^ Gilbert Murray, The Stoic Philosophy (1915), p. 25. In Bertrand Russell, A History of Western Philosophy (1946). ^ Becker, Lawrence (2003). A History of Western Ethics. New York: Routledge. p. 27. ISBN 978-0-415-96825-6. ^ A.A.Long, Hellenistic Philosophy, p. 115. ^ a b Ancient Logic by Susanne Bobzien. Stanford Encyclopedia of Philosophy. ^ John Sellars, Stoicism, Routledge, 2014, pp. 84–85: "[Stoics] have often been presented as the first nominalists, rejecting the existence of universal concepts altogether. ... For Chrysippus there are no universal entities, whether they be conceived as substantial Platonic Forms or in some other manner.". ^ Seneca, Epistles, lxv. 2. ^ Marcus Aurelius, Meditations, iv. 21. ^ Michael Lapidge, Stoic Cosmology, in: John M. Rist, The Stoics, Cambridge University Press, 1978, pp. 182–183. ^ a b c Ferguson, Everett. Backgrounds of Early Christianity. 2003, p. 368. ^ Tripolitis, A., Religions of the Hellenistic-Roman Age, pp. 37–38. Wm. B. Eerdmans Publishing. ^ Graver, Margaret (2009). Stoicism and Emotion. Chicago: University of Chicago Press. ISBN 978-0-226-30558-5. OCLC 430497127. ^ "Passion". Merriam-Webster. Encyclopædia Britannica. Retrieved 29 January 2011. ^ Seddon, Keith (2005). Epictetus' Handbook and the Tablet of Cebes. New York: Routledge. p. 217. ISBN 978-0-415-32451-9. OCLC 469313282. ^ Hadot, P. (1987) Exercices spirituels et philosophie antique. Paris, 2nd ed., p. 135. ^ Mac Suibhne, S. (2009). "'Wrestle to be the man philosophy wished to make you': Marcus Aurelius, reflective practitioner". Reflective Practice. 10 (4): 429–36. doi: 10.1080/14623940903138266. ^ Robertson, D (2010). The Philosophy of Cognitive-Behavioral Therapy: Stoicism as Rational and Cognitive Psychotherapy. London: Karnac. ISBN 978-1-85575-756-1. ^ Seneca, Moral letters to Lucilius, Letter 47: On master and slave, 10, circa AD 65. ^ Marcus Aurelius (1964). Meditations. London: Penguin Books. p. 24. ISBN 978-0-140-44140-6. ^ "On the Duties of the Clergy". www.newadvent.org. Retrieved 1 March 2017. ^ Aurelius, Marcus (1964). Meditations. London: Penguin Books. p. 26. ISBN 978-0-140-44140-6. ^ a b Marcus Aurelius (1964). Meditations. London: Penguin Books. p. 25. ISBN 978-0-140-44140-6. ^ David, Sedley. "Ancient philosophy". In E. Craig (ed.). Routledge Encyclopedia of Philosophy. Retrieved 18 October 2008. ^ "Modern Stoicism | Build The Fire". Build The Fire. 9 February 2016. Retrieved 22 June 2016. ^ Harper, Douglas (November 2001). "Online Etymology Dictionary – Stoic". Retrieved 2 September 2006. ^ Baltzly, Dirk (13 December 2004). "Stanford Encyclopedia of Philosophy – Stoicism". Retrieved 2 September 2006. A. A. Long and D. N. Sedley, The Hellenistic Philosophers Cambridge: Cambridge University Press, 1987. Marcus Aurelius, Meditations, translated by Maxwell Staniforth; ISBN 0-14-044140-9, or translated by Gregory Hays; ISBN 0-679-64260-9. Baltzly, Dirk. "Stoicism". In Zalta, Edward N. (ed.). Stanford Encyclopedia of Philosophy. "Stoicism". Internet Encyclopedia of Philosophy. "Stoic Ethics". Internet Encyclopedia of Philosophy. "Stoic Philosophy of Mind". Internet Encyclopedia of Philosophy. Hicks, Robert Drew (1911). "Stoics" . Encyclopædia Britannica (11th ed.). "A bibliography on Stoicism by the Stoic Foundation". Archived from the original on 23 September 2012. Retrieved 14 September 2012.